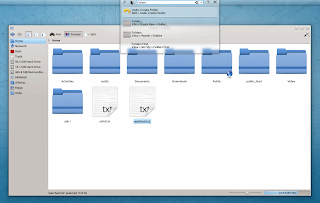 The new AppMenu Runner implementation uses the same technology as HUD, so it works with GTK and Qt applications too and Alejandro hopes it will be available in KDE Plasma Workspace 4.9 "if the Plasma teams like it". If you want to test AppMenu Runner, get the source via Git. To use it, you'll need dbusmenu-qt, appmenu-qt as well as GTK+ with appmenu patch (already available in Ubuntu). For Ubuntu installation instructions, click HERE.